Gramado is one of Brazil’s most charming villages and one of the most rewarding stop-overs along the famous Rota Romântica . This 184km route traverses over a dozen municipalities, across the striking Serra Gaúcha mountainous region of Brazils’ Rio Grande do Sul Province. Originally settled by Portuguese, German and Italian immigrants, Gramado is a picture-perfect little Alpine village, where you’ll find plenty of attractions to keep you happily occupied for a few days. Aside offering some of the most delectable and varied food in all of Brazil, Granado also boasts enticing architecture and wonderful natural treasures, amidst a multitude of all things incredibly kitsch. 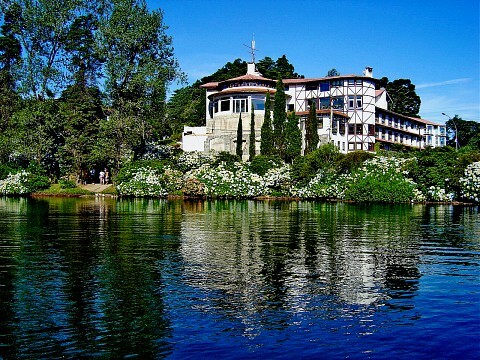 Visit Gramado in August and you can attend the Festival de Gramado , Brazil’s most prominent international film festival. The mountain region of Serra Gaúcha had remained all but uninhabited right up until the late 1800s, which is when the first Portuguese immigrants, headed by Luso-Azorean José Manuel Correa arrived in droves. They were soon joined by German and Italian settlers, who brought along a healthy dose of their cultural customs. In today’s Gramado, everything from the architecture, food, cultural and religious practices originates from these most patriotic of settlers. It’s these same peculiarities which make the town an enticing anomaly in Brazil. 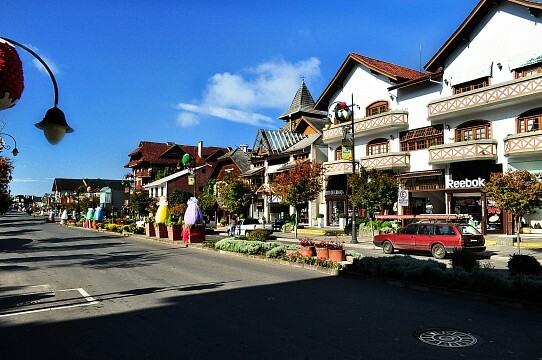 Gramado is one of the most multicultural towns in the entire country and, thanks to its mountainous location, also one of the very few where you can actually feel a most blissful chill in the air. This can certainly explain why it was a preferred settlement spot, particularly for Germans. For some, this alone is enough reason to visit, although the various superb chocolate factories, for which the town is so renowned, should also not be discounted as excellent reasons to visit. The area where the city of Gramado is located today serves as a passage for drovers, who started rearing cattle in the fields above the town in the late 19th century. 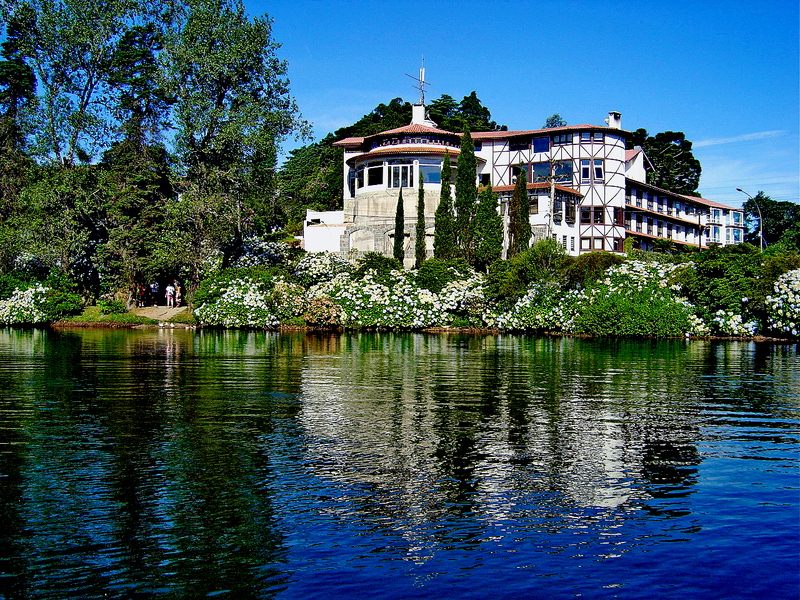 An artificial lake built by Leopoldo Rosenfeldt in 1953, Gramado’s Black Lake is framed by pines imported from Gramny’s Black Forest and brimming with swan-shaped paddle boats. Its waters are deep and verdant green, reflecting the high pines that alternate with colourful azaleas in winter and blue hydrangeas in the summer. A walking trail winds its way around the lake and past some delightful picnic spots. Bring a packed lunch from town on a sunny day. 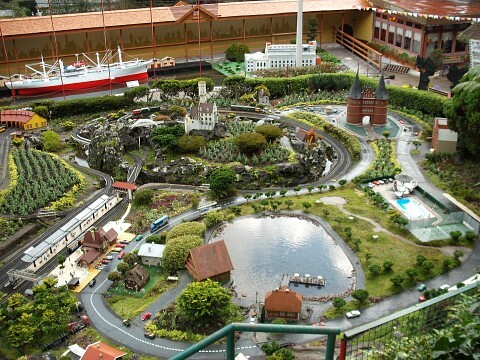 Mini Mundo is arguably the kitschiest attraction in Gramado and although adults may find it a tad overrated, this ‘miniature world’ is a huge hit with kids. Legend has it that Mini Mundo was created by a German man who wanted to show his grandkids the world, so he built the world for them in miniature forms. You’ll find some of the most famous landmarks depicted among the more than 140 models. The quality of the work is quite astounding and, although not too extensive, you should still plan on spending at least an hour here. If Mini Mundo wasn’t kitsch enough for your tastes, then you definitely ought to head to Knorr Park, where you’ll find a working Santa Claus Village which is as cutesy as it sounds. Complete with elves in costume, a Tree of Wishes, Chalet of the Bears, Toy Factory and the best man-cave of all (the Garage of Santa Claus), the Aldeia do Papa Noel is a wonderful place in which to while away a few hours. The exceptional views of the Quilombo Valley, especially when taken from the overhead monorail, are well worth the trip. 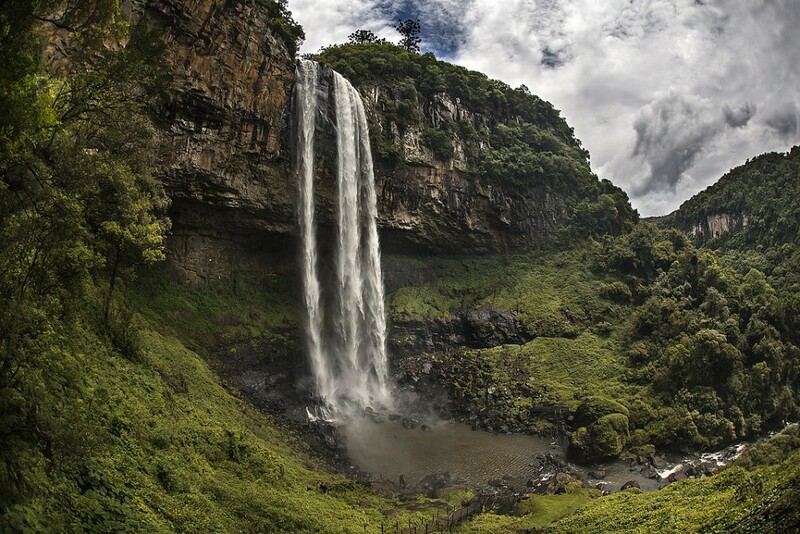 The Caracol Falls are among the most beautiful in all of Brazil and found in the heart of the Serra Geral mountains, about 15km north of Gramado. The 430 feet high waterfall, which cuts through rugged granite peaks and framed by magnificent forests, is the prime attraction of this province and an absolutely unmissable highlight. Lookout points are numerous here, with the best being at the very top of the observation tower, down a flimsy staircase of over 900 steps, at the very bottom. Bring comfortable, non-slip shoes and have plenty of time to spare. There are plenty of walks to be taken and quite a few restaurants and souvenir stalls to meander through. If you’re short on time and not travelling with kids in tow then we recommend you skip Santa’s Village altogether and head to the area’s most spectacular viewpoint instead. 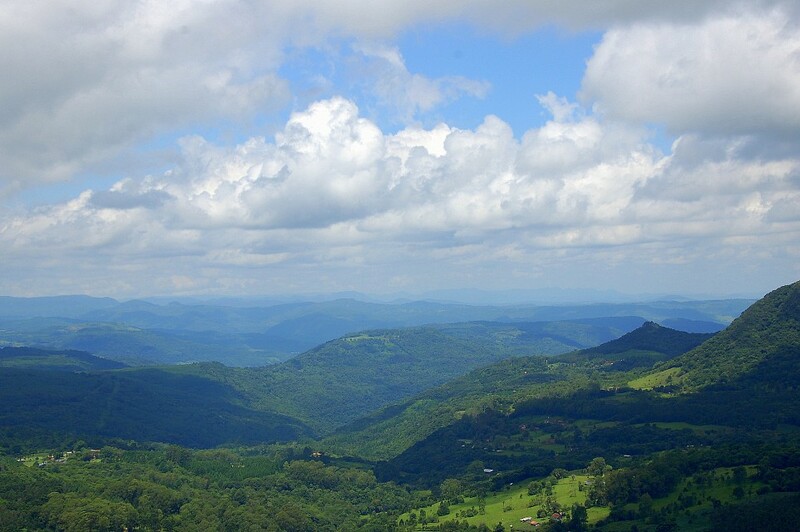 Found on the road which connects toCanela (just half a kilometre out of Gramado’s downtown), the Mirante do Belvedere grants breathtaking views of the Quilombo Valley and its incredibly luscious wilderness. Gramadois brimming with wonderful parks and lake and, in the general scheme of things, Lago Joaquina Rita Bier is not necessarily the most impressive. That is, of course, unless you visit on week-ends, which is when a fantastic fountain show is put on, which manages to bring this whole place to life. A wonderfully relaxing urban park, Lago Joaquina is turned into a skating rink in winter and brims with stalls, boat rides and people in summer. One of the city’s top family attractions is Gramado Zoo, especially revered for being a safe haven for local endangered wildlife. You’ll find different types of toucans, jaguars, monkeys, capybaras and more. An informative video is shown at the entrance, which will help familiarise you with the species you will come across. Included in the ticket is entry to a nearby Gaucho Farm, where you can learn all about the farming and living habits of the gauchos. The in-house churrascaria serves up some rather delectable BBQ meats. 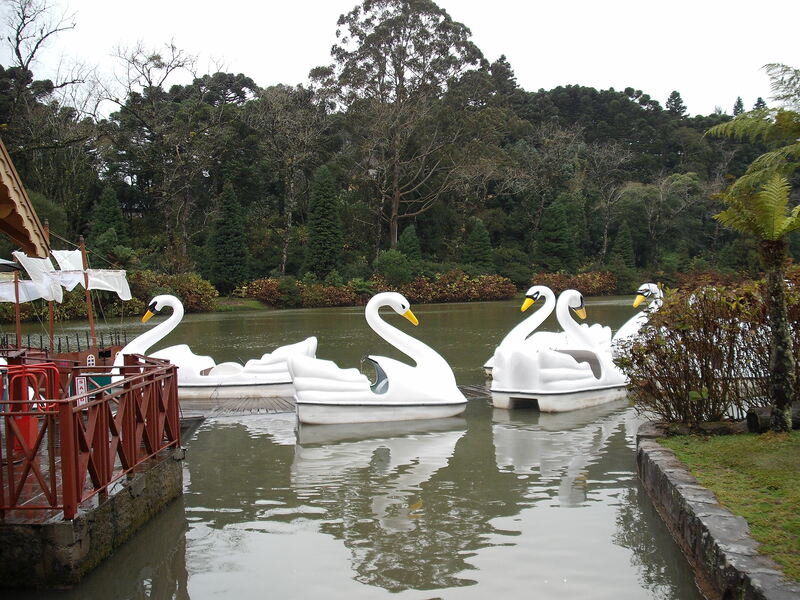 As a tourist city, Gramado has several tour options. Below, are just a few of the organised tours on offer. On this tour, you’ll get an inside look into the legacy left behind by Italian immigrants. In Bento Gonçalves , the guests can embark on the Smokey Mary Train which travels along the path between the cities of Bento Gonçalves and Carlos Barbosa, offering typical Italian dance show (tarantella) and delicious wine tasting. During the visit to the Winery Kernel, you’ll learn a little about the immensely complex process of wine production. The tour lasts for about 9 hours and costs BRL220 (lunch included). Snowland is the first indoor snow park in the Americas and although it’s a fantastic place to visit (especially in the height of summer), the lack of organisation and ever-present crows can also make it a rather frustrating attraction. This is mostly due to the fact that the entry ticket gives you only have a few hours to spend here, and much of that time is usually wasted waiting in line for either rides, food or drinks. Nevertheless, if you happen to get lucky on a low-crowd day it’s definitely a fun place to visit for the day. Entry tickets are BRL120 per person. This tour offers a visit to the main attractions in the area including a Alpen Park, the Land Magic Florybal Park; the Wax Museum, the Harley Museum; the Automobile Museum and a leather goods outlet. The tour lasts about 9 hours and costs BRL80 per person. 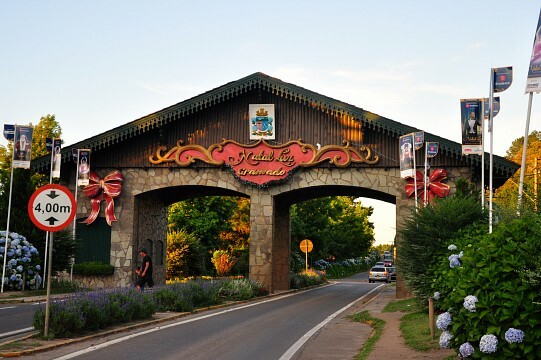 Thanks to the European influences which have literally shaped every aspect of Gramado, the town is mostly known for boasting some of the best and definitely most varied cuisines in Brazil. The town’s historic centre is brimming with superb Swiss, German, Italian and French eateries, specialising in everything from home-made pasta (at Per Voi) to fondue (at Vue de la Valee) and German style sausage stews (at Restaurante Hoppner) among many more. In the most fascinating tourist destination in the south of the country, comfort and hospitality is not hard to find. The region offers hotels and hostels of all kinds and for all the tastes, from the most exquisite to the small yet infinitely charming family-run joints. The Salgado Filho International Airport in Porto Alegre is the main airport of Rio Grande do Sul. 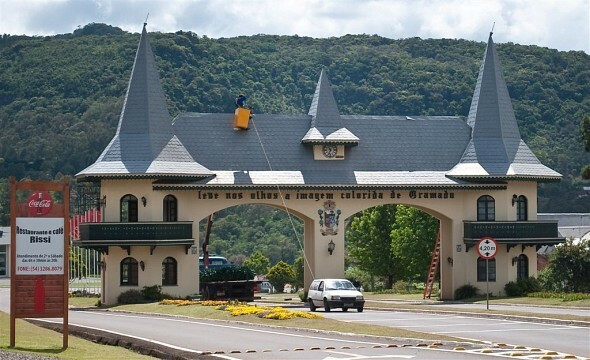 It is about 71 miles from the hill town and visitors must find alternate transportation to reach Gramado. Given the fact that this entire area is brimming with enticing villages, do consider renting a car at the airport for the duration of your stay, even though you’ll find buses serving the route between the two towns, several times a day. The Regional Airport of Caxias do Sul is another option for those who arrive by plane. It receives flights from all major nearby cities. Normally, the tickets are more expensive than tickets for the Salgado Filho airport, but the distance to Gramado is shorter- is approximately 70km. Buses reach Gramado from Porto Allegre, the provincial capital found only 120kms away. Coaches also ply the route to other hubs such as São Paulo, Curitiba, and Santa Catarina. 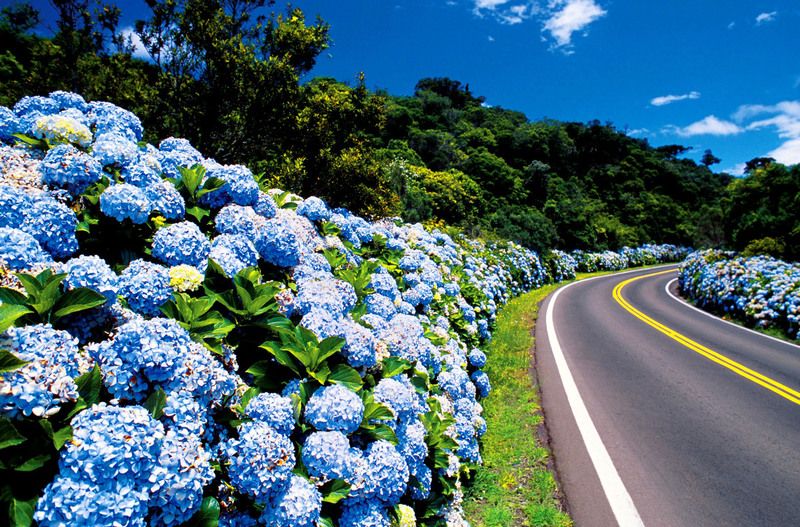 Via Gravataí and Taquara: pass by the BR-101, then by the RS-020 to Taquara, and then follow the RS-115 to Gramado. Via Novo Hamburgo, the main route between Porto Alegre and Gramado. Leave the capital city by the BR-290 and take the BR-116 that goes to New Hamburg. In front, you should take the RS-239 and then to Gramado, through RS-115.